Have you ever found yourself in a situation where one thing after another seems to be going against you? It can really zap your energy and optimism! Recently it’s felt a bit like that here. When we moved to this beautiful part of the world, we knew that there would be some work to do on the outbuildings, and managing the land, but we thought that the house was sound and all we needed to do was move in and we could do any necessary repairs, etc, at our own pace. However, this has turned out not to be the case. 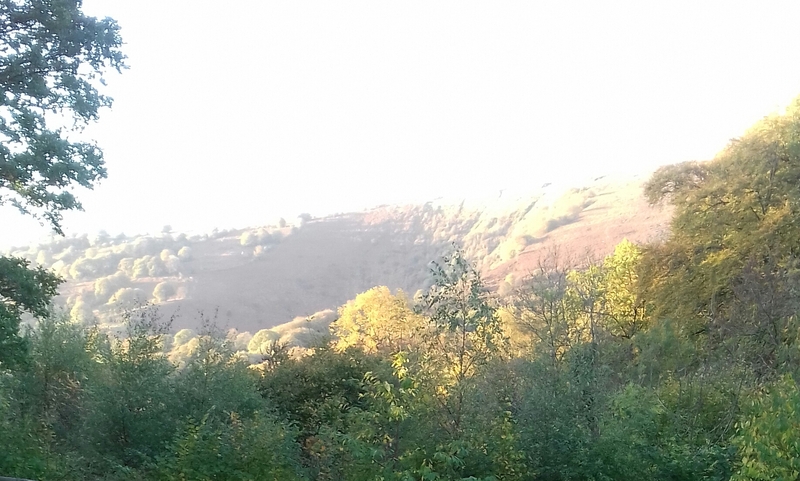 Of course, this summer was one of the driest on record – even here in Wales. But the day we moved we had storm Callum, and then in this last week we had storm Diana. All that wind and rain tested the solidity of the buildings and revealed leaks that weren’t apparent on our earlier visits. We’ve found that water is coming in, in several places – through roof, doors and walls. All of this of course means extra expense, which is scary when you’ve just moved house! There are also leaks in several outbuildings, and the roof on the cabin was threatening to lift off. We lost a panel off the side of one of the storage buildings and several items were blown into the stream. The winds also turned poo picking into quite an adventure! One afternoon I lost my hat, barrow, rake and poo skip – all blown away from me. The horses were rather spooked by the waving branches and the sound of the wind in the trees and hedges. Dax quickly settled once he got some hay, but Rika was more uncertain. She seemed to gain confidence, though, when I stood next to her and reassured her. She pushed in a couple of times for a scratch and it was lovely to think that my presence put her more at ease. Thankfully both have still been keeping warm, despite the weather. Added to this is the fact that we still haven’t been connected to the internet and phone. TV is also part of the package that we’ve ordered, so we don’t have that either. This has been a big challenge in many ways and my husband is finding it particularly frustrating. I was managing reasonably well, using WiFi in a local café as and when I could, but when hubby was away with work for the night of the storm, the sense of isolation from a lack of contact with the outside world, hubby’s frustrations and the fact that he is very unhappy that we’ve moved here, concerns about the effect of the weather on the horses and financial worries, all piled up, and I suddenly felt hopeless and just wanted to rage at the world! 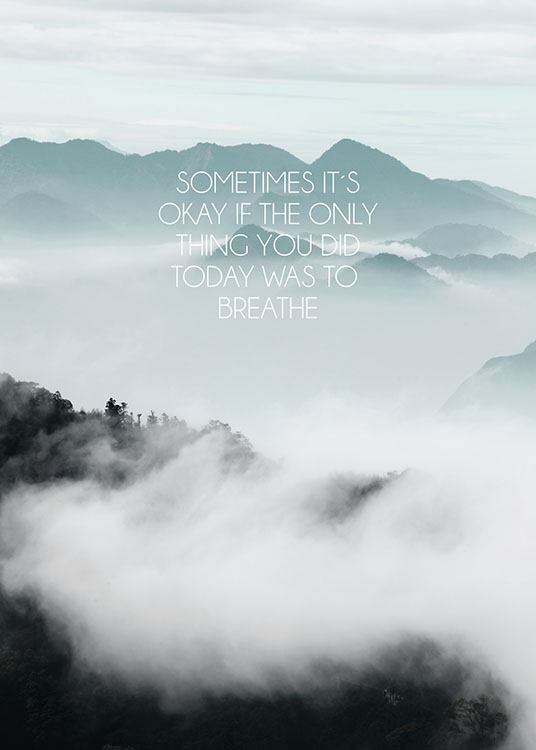 Remember to breathe! A simple thing, and it might seem small and insignificant in the face of the storm, but it helps you to be more grounded, to find balance and perspective when the storm is threatening to blow you away. Also it can be heartening to know that you are still holding on. When you look back and see what you’ve managed to come through, it can build your confidence and awareness of your inner strength. Take one step at a time. When you’re in a ‘perfect storm’, everything seems overwhelming. Each issue appears to be too huge to manage. We can feel lost and uncertain of where we’re going or what the future might hold. But keeping moving, even at the slowest pace, means that we’re taking action rather than getting stuck. And again, we can discover an inner strength and resources we were unaware of, which is a great boost to our confidence and esteem, and contrasts against the things that seem to be knocking us down. Don’t make any big decisions. When you’re struggling, feeling lost and out of your depth, it’s not a good place from which to make important decisions. If others are pressing you for an answer, it’s ok to say that you need some time. You need to be able to restore your sense of balance, perspective and hope, reconnecting again with your inner sense of who you are and what matters to you – your inner compass – before you can hope to make a choice that will serve you. Spend time with those who lift you up. When you’re struggling to find anything positive or hopeful inside of yourself it can be good to spend time in the company of people, music or books that soothe and encourage us. I’m very fortunate to have some wonderful friends to call on. I rang one the night that my ‘perfect storm’ hit, and she immediately suggested getting together. We’ve arranged to meet up tomorrow and having this to look forward to, I suddenly felt a little better, almost as if I was drowning and had found a rock to rest on allowing me to catch my breath and have the space to regather myself. It’s said that we become like the 5 people we spend most of our time with, so pay attention to the people – and the energy – that you hang out with. Are they uplifting? Encouraging? Supportive? Reassuring? Optimistic? Do they build you up? Encourage you? Believe in you? Reignite your passion? Take time to rest and reflect, and be gentle with yourself. When everything seems to be yelling for your attention, it’s important to take some time out for yourself. Peace and quiet are invaluable for helping us to recharge and think about where we would like to be once the storm has passed. 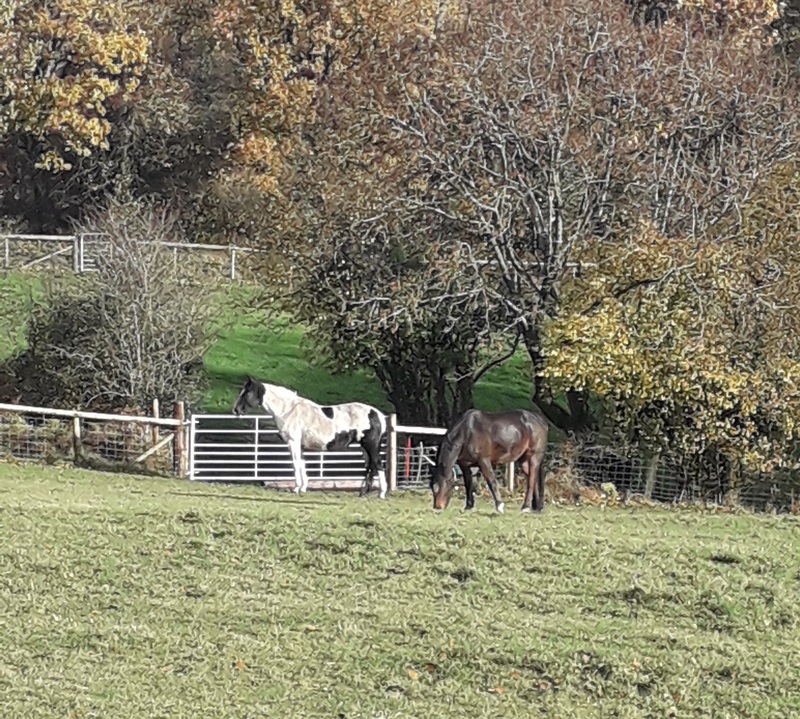 For me I noticed that getting outside into the woods, or into the fields with the horses, helped me to put some distance between myself and most of the things that were stressing me. It helped to restore my balance and sense of positivity. Also, don’t be too hard on yourself for being in this situation. Life can throw us curve-balls. Finding yourself in the middle of an emotional storm is not a poor reflection on who you are. It’s our responses to our situation that show our true character. Take good care of yourself. In the midst of the storm, everything seems to be demanding your time and attention, leaving no time for yourself. But this can lead to draining your batteries, leaving you exhausted and even ill. At times like this it’s important to eat healthily – including lots of fresh, preferably organic, produce, including fruit and veg of a wide variety of colours to boost your vitamin and mineral intake – and to get as much sleep as you can. Hang in there and remember that even the worst storm passes. Suddenly something will shift, or it can be a slow and gradual change that you don’t even notice at first, but then, one morning, you look up and there’s a glimpse of sunshine poking through the dark clouds. For me, I arrived home yesterday to find a strange car in the driveway. When I went into the house, I found hubby talking to a lovely bloke who turned out to be, in my husband’s description, “a jack of all trades, and master of all of them”! In short, it appears that we might have found the guy to help us put our place in shape and get us through the winter intact. Of course, it’s going to cost money, but those financial concerns seemed to fade into the background when presented with this solution to our other worries. Also, the fact that hubby was now in a much better mood lifted my spirits immensely! So, what about you? What are your tips for dealing with a ‘perfect storm’? I’d love to hear from you. Please share your thoughts in the comments below. 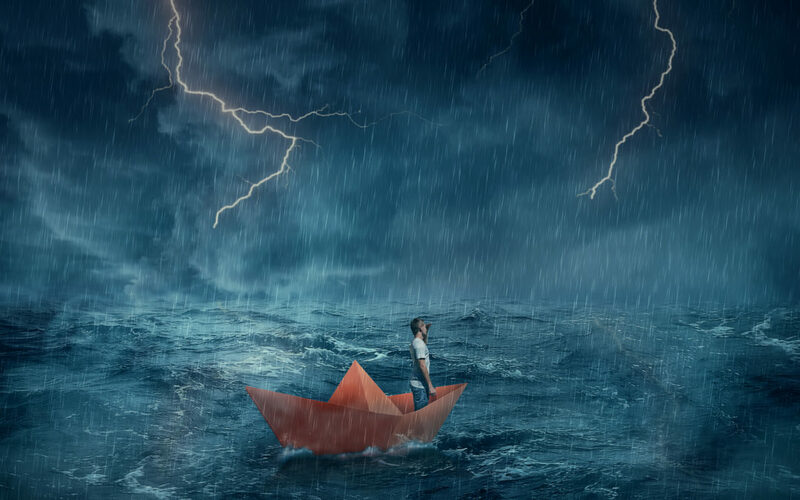 If you ever feel like the ‘perfect storm’ is building, and you need a break away to think, take stock and recover your balance, you are very welcome to book a session here at Equenergy. I offer Reiki, Emotional Freedom Techniques (‘tapping’), mindfulness through reconnection with Nature, and workshops on rediscovering that sense of ‘Flow’ in your life. Please contact me for further information.